Ella’s dream came true when she traveled to the Bahamas with her family. 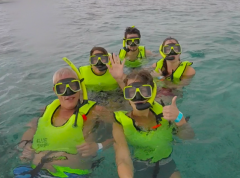 They had an amazing trip, and Ella used a GoPro to capture it all! See some of the fun highlights of the trip in the video below!